The name, that, tune in, the brain energy into electrifying thoughts, pertaining around the world of electrical technologies and latest inventories, that, Neptune developed and introduced with the technical aptitude of utmost perfection and excellence in operations. To enhance the development of the nation by introducing the latest electrical technology at the most competitive rates with the vision to attain “Success” through substantial and convincing performances and display of ability to be acknowledged by the market. 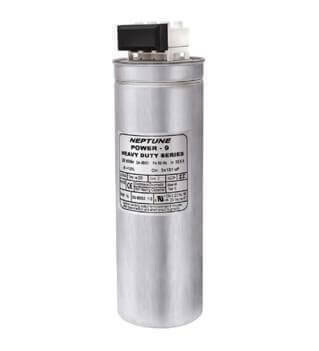 To attain this vision, Neptune has mastered its strength through winning a distinctive name in the international electrical arena and has to its credit the entering into joint venture with the best and world renowned organizations. The joint venture with Ducati Energia s.p.a Italy, for the comprehensive & hi-tech range of PF Improvement Capacitors, Energy Analyzers, Automatic Power Factor Relays, Energy Management System & Harmonic Filtration equipment. We can rightfully be acknowledged I pioneer In the field of Energy Management System using digital permanent monitors & Control systems. Besides Neptune have to their credit the introduction into the market of Cee Insulated Plug and Sockets from Bals Elektrotechnik, Germany. Our visionary potential can be found in our technical team, who has put their expertise to test in the production & marketing facility, co-coordinating activities among its various marketing representative offices all over India, with head quarters in New Delhi. The combination of vision, innovation, precision & man-power has made us strong. Our customers appreciate our solid reliability & proverbial flexibility when it comes down to supplying even the most complicated solutions economically & on schedule.